Polar Bear Cub Rescue info about the game-Games2Rule. 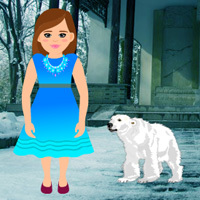 In this escape game, a girl missed her polar bear cub. So you have to make your help the girl to rescue her polar bear cub by finding useful objects, hints and solving puzzle.